It is a 5km run - it's you against the clock. The event takes place at Lota Camping Reserve, Lota, Brisbane 4179. See Course page for more details. What does it cost to join in? Nothing - it's free! but please register before your first run. Only ever register with parkrun once. Don't forget to bring a printed copy of your barcode (request a reminder). If you forget it, you won't get a time. How fast do I have to be? We all run for our own enjoyment. Please come along and join in whatever your pace! 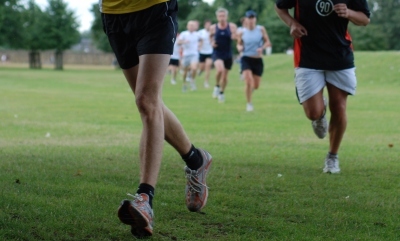 It is entirely organised by volunteers - email lotahelpers@parkrun.com to help. Every week we grab a post parkrun coffee in one of the many cafes along Cambridge Parade Manly - please come and join us! See our volunteer page for details on getting involved in making Lota parkrun happen. Don't forget your barcode! See your initial registration email, your weekly parkrun newsletter, previous results emails, or you can request a reminder email. Phones don't scan, so please bring a printed copy. We operate a "No barcode, No result" policy. If you forget your printed barcode, you won't get a time. Coming along for the first time? Please make sure you have registered and also read the course description. Did you run this week? Check out the results page and news page which includes event reports - we normally update these a day or two after the event. Not received your results email? It may be in your spam folder. We've a few tips on our support site to help you. You look great! Have a look at the event photos. Want to know more? Read about us and the event. Our links page connects you to local and national running resources. This event is run by volunteers who love running; if you want to join us, find out more on our volunteering page. Summary event statistics are at the bottom of every page. Any other questions? Read our dedicated support site.